Google is in the midst of rolling out Android Wear 2.0 to many smartwatches on the market. It has released three major updates to Android Wear in the past two years. In Android Wear 2.0, you get a design overhaul, standalone apps, improvements to watch faces, messaging, fitness and a whole lot more. Information on when updates will land on existing devices has been in short supply, although many now have the new software. So here’s as much information as we can find on exactly what watches already have it and when others might get AW2.0. Google announced last spring that its wearables OS would soon get a massive update, in the form of Android Wear 2.0. The official announcement of Android Wear 2.0 was on 8 February 2017, launched alongside the LG Watch Sport and the LG Watch Style. For existing devices, Google started releasing the software to manufacturers on 15 February. It needed to be tested by individual companies before being sent as an over-the-air update, hence the delay to your specific device. The following devices have been confirmed as either having the update or soon to get it. We’re updating the details as companies tell us more. True to its word, the update started to roll out to the ZenWatch 3 in mid-May. We’re still waiting on details for the ZenWatch 2, however. After a bug fix that delayed Fossil’s rollout a little, all of the following have now been updated with AW2.0. Casio confirmed that the WSD-F10 watch should be updated to Android Wear 2.0. The new Casio WSD-F20 will have AW2.0 at launch. Huawei Watch users running the Android Wear 2.0 preview have reported they’re getting the full update to their device, which means the over-the-air update for everyone else should also be available now. Android Police has said if you repeatedly tap on the “system is up to date” screen, it should force trigger the Huawei Watch to download the Android Wear 2.0 software. Google has confirmed the following watches have been upgraded to Android Wear 2.0. We’re still not sure when it will be available for the Moto 360 Sport, but it announced on Twitter that a roll out to the Gen 2 started on Thursday 25 May. New Balance confirmed to us that the Android Wear 2.0 update for the RunIQ watch is now available. Nixon has confirmed that there will be a range of other software improvements that come with the update to 2.0. Google has also said that this watch should now have the update, confirmed on Nixon’s website. Polar sent out notifications for the update to the M600 from the end of March. In addition to the overhaul presented by Android Wear, the update also includes improved swim tracking, with the ability to detect the stroke you’re using. After much speculation of “will it, won’t it?”, Sony has confirmed that Android Wear 2.0 will not be made available for the Sony Smartwatch 3. On the Smartwatch 3’s product page, it says it can only support up to Android Wear 1.5. If you’re a Smartwatch 3 owner and were hoping for Android Wear 2.0, you can sign a petition to try and convince Sony and Google to change their minds. Tag Heuer has confirmed that it is now rolling out the Android Wear 2.0 update to the original Connected watch. The update brings several of the features currently found on the recently released Connected Modular 45, including 30 digital faces and direct access to the Play Store. OnePlus 5 vs Samsung Galaxy S8: What’s the rumoured difference? Rumour has it OnePlus will be launching its 2017 flagship in the next few weeks, with many predicting June to be the month of the next “flagship killer”. There have been several leaks surrounding the new handset, many of which point towards a well-specced device, but how will it compete against its rivals? Here is how the OnePlus 5 compares to the mighty Samsung Galaxy S8, based on the speculation. The OnePlus 5 is rumoured to be coming with a glass or ceramic build, rather than the aluminium body found on its predecessor. Though no measurements have been detailed as yet, leaked images suggest the next OnePlus flagship will offer a dual camera on the rear, as well as possibly the front. The images also suggest USB Type-C flanked by speakers either side, a fingerprint sensor built into either the display or a capacitive button beneath the display and it also appears the screen will be flat and the headphone jack may be absent. The Samsung Galaxy S8 features a metal and glass sandwich design, a curved display and a fingerprint sensor positioned at the rear next to the single camera lens. USB Type-C is on board, as is a 3.5mm headphone jack and there is a dedicated button on one side of the device for launching personal assistant, Bixby. The Galaxy S8 measures 148.9 x 68.1 x 8.0mm, weighs 155g, comes in five colours and it is also IP68 waterproof. The OnePlus 5 is said to be coming with either a 5.3-inch display or a 5.5-inch screen, both of which are expected to be flat. Rumour has it OnePlus might opt for a Quad HD display this time round over Full HD, which would result in a pixel density of 534ppi or 554ppi, depending on the screen size. There has been no mention of Mobile HDR in rumours, but it is expected to be an Optic AMOLED display like the OnePlus 3T. The Samsung Galaxy S8 has a 5.8-inch Super AMOLED display with an aspect ratio of 18.5:9, offering a Quad HD+ resolution (2960 x 1440) for a pixel density of 570ppi. The S8 is therefore likely to offer a larger and sharper display than the OnePlus 5, unless OnePlus opts for a similar almost all screen design. The Galaxy S8 also offers Mobile HDR, meaning it is compatible with HDR content when it becomes available through Amazon Video and Netflix. The OnePlus 5 is thought to be coming with dual cameras on the rear, and possibly on the front too, though nothing has been confirmed as yet. Some leaks suggest there will be 23-megapixel sensors on the back with a 16-megapixel snapper on the front, while others claim there will be 16-megapixels on the back and front. We’re expecting to see PDAF and OIS on board, and perhaps a wider aperture than the f/2.0 found on the OnePlus 3T. The Samsung Galaxy S8 has a 12-megapixel Dual Pixel rear camera with an f/1.7 aperture, OIS and autofocus. The front snapper has an 8-megapixel sensor, also with an f/1.7 aperture and autofocus. Results from both are excellent. There is also an iris scanner on the front of the Galaxy S8, a technology that has not yet been touted for the OnePlus 5. The OnePlus 5 is confirmed to be coming with the Qualcomm Snapdragon 835 processor, though RAM and storage options are still speculation. Both 6GB and 8GB of RAM have been thrown about, as well as 64GB and 128GB of storage. We’d don’t expect microSD to be on board but it has been claimed the battery capacity of the OnePlus 5 will hit the 4000mAh mark. The Samsung Galaxy S8 features either the Exynos 8895 chip, or the Qualcomm Snapdragon 835 processor, depending on the region. Both models come with 4GB of RAM and 64GB of storage, with microSD for further expansion. There is a 3000mAh battery capacity under the hood and Samsung offers 32-bit audio support. The OnePlus 5 is likely to launch on OxygenOS, which will be a customised version of Android Nougat, while the Galaxy S8 runs on Android Nougat with Samsung’s TouchWiz software over the top. The software experience of these two devices will therefore be quite different, though both have Android at the heart so there will be familiar features, they will just be packaged in a slightly different way. There hasn’t been a decent leak regarding the OnePlus 5’s price, though based on its predecessor, we’d expect it to sit around the £400 mark. The Samsung Galaxy S8 on the other hand costs £689, making it quite a bit more expensive. Based on the rumours, it looks as thought the OnePlus 5 will offer more RAM, a larger battery capacity and a dual-rear camera setup compared to the Samsung Galaxy S8. Samsung’s device however, offers a curved display, potentially larger display, waterproofing, iris scanning and an excellent camera experience. It is likely to be £200 more expensive though. For now, everything except the processor is speculation regarding the OnePlus 5 but we will update this feature as soon as any official details or more substantial leaks appear. For those of us who zone out during university lectures, the temptation multiplies when you taking classes from home. Next fall, a business school in France will try to stop online students from getting distracted with an AI app called Nestor. To judge your level of attention, it can track your face and eyes and even detect when you pull out a phone. If you start to slack off, it can warn you via pop-up messages or emails, and tell you roughly when you may drift away again. The bot will be used for two classes at the ESG Business school, including a 30 hour “street marketing” course, as part of a distance learning program. Eventually, it’ll be offered as part of live lectures and used in conjunction with a camera that can analyze students live to see if they’re engaged or bored, ESG says. It can then, believe it or not, send a text or notification as a virtual kick in the rear. The data from the program will also be useful to teachers, letting them know which parts of their lectures are grabbing students and which parts aren’t. The developers say it could also help students in different ways — if you let it track your online activities, it could proposed a personalized course schedule based on times when you’re watching YouTube, for instance. Marcel Saucet, head of the company that created the bot, said that Nestor won’t store video footage nor sell it to advertisers, a promise suspicious students might take with a grain of salt. The data will also be encrypted and anonymous, the company promised. As The Verge notes, ESG is not the first first school using AI that way, as the IE Business School in Madrid uses an “emotion recognition system” to spot inattentive students. As Ars Technica points out, it’s a metadata file that exists in the root directory of the OS’ NTFS file system. When something tries using it, like a malicious website accessed through Internet Explorer in this case, the NTFS driver never releases its lock on the file. This in turn blocks other legitimate processes from accessing the file system. From here, every program trying to access any type of file will start to hang and you can see where this is going. Now, this type of vulnerability isn’t new (older versions of Windows had similar responses calls for c:concon), and neither is the fix. Simply reboot your machine and you should be good to go. Microsoft is aware of the problem, but isn’t going to fix the bug in Windows Vista. Considering that Redmond is still supporting Windows 7 and Windows 8 there may be a patch coming, though. We’ve reached out for more information and will update this post should it arrive. It’s no secret that the American government monitors the web data of non-citizens it considers potential threats. But major tech companies such as Facebook, Microsoft, and Google are looking to change the way that surveillance is handled by the government. The government is authorized to look through the web activity of non-US citizens located outside the United States through Section 702 of the Foreign Intelligence Surveillance Act (FISA), which is set to expire at the end of the year. The US House of Representatives argues that, “FISA Section 702 is one of the most important legal authorities to stop terrorist attacks.” The tech companies don’t disagree — they aren’t campaigning against reauthorization — but in a letter obtained by Axios, they’re asking that specific privacy-related concerns be addressed. It doesn’t help that Congress has specific concerns about the number of Americans whose data has been collected (illegally) under FISA, which is only supposed to cover non-US citizens living in foreign countries. Privacy is such an important issue, especially as our personal details and web data are increasingly treated as a commodity. The United States government believes it’s important to examine the web data of certain non-US citizens to prevent terror attacks and other anti-US actions, and companies like Facebook and Google are caught in the middle. These companies handle overwhelming amounts of sensitive information, and keeping their users’ trust and protecting their privacy is crucial. When national security is involved, these two issues come into conflict. It’s understandable that tech companies want to protect themselves and their users, but balancing the demands of national security with respect of users’ privacy is not easy. This post was done in partnership with The Wirecutter, a buyer’s guide to the best technology. When readers choose to buy The Wirecutter’s independently chosen editorial picks, it may earn affiliate commissions that support its work. Read the full article here. After spending over 50 total hours comparing turntables and measuring their performance, we’ve determined that the Audio-Technica AT-LP120-USB is the best turntable for most people. It’s highly adjustable, has a built-in phono preamp for hassle-free setup, sounds great out of the box, and even has a built-in USB port if you want to digitize your LP collection. It’s also very speed-accurate, according to our tests. These turntables are for people who are either first getting into vinyl playback, or have been out of it for a while and want a simple solution. Many of the turntables discussed here feature integrated phono preamps, which is important because signals from phono cartridges must be amplified and equalized to be compatible with normal stereo systems or powered speakers. Most new entry-level receivers lack phono preamp sections, and soundbars and wireless speakers never had them, so a built-in preamp can be important. If you already have a turntable that works for you, you probably don’t need to upgrade to a new turntable from this guide. 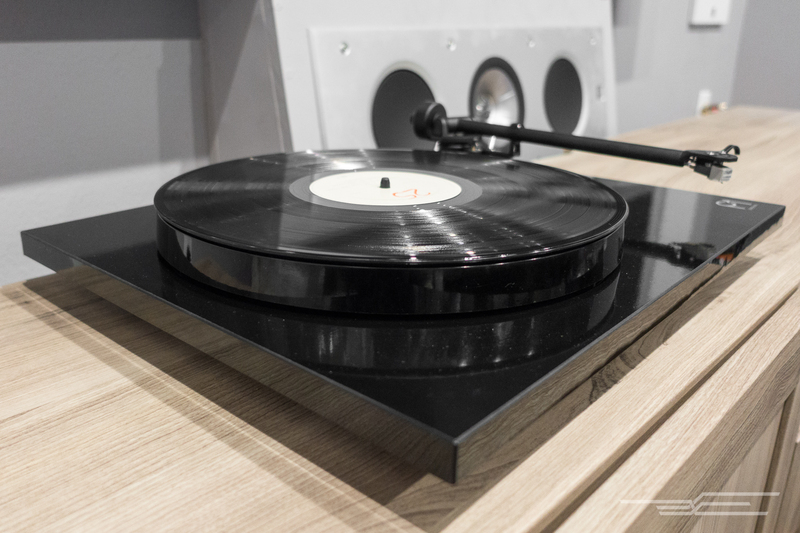 You can likely get more out of your current turntable by upgrading the cartridge or getting a new phono preamp than you can from buying a whole new table. 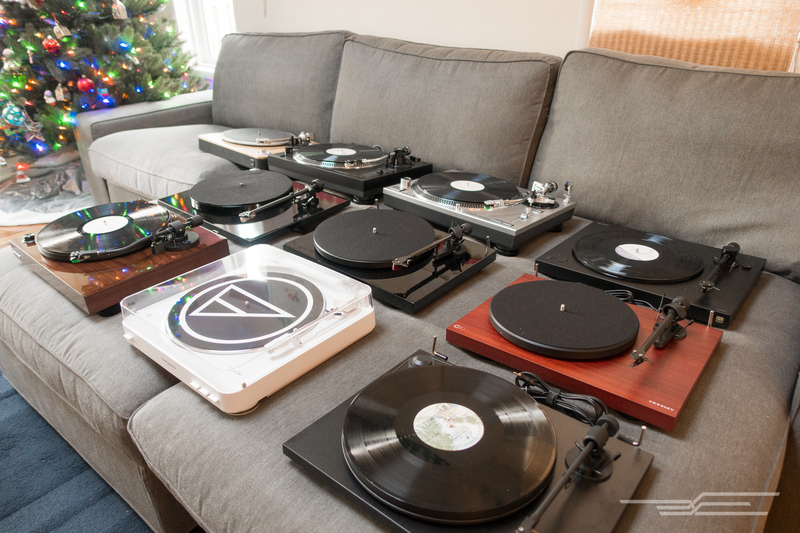 Since we last updated this guide more and more companies have jumped into the turntable game. Vinyl sales have risen through the past decade, and audio companies want to capitalize on the trend. 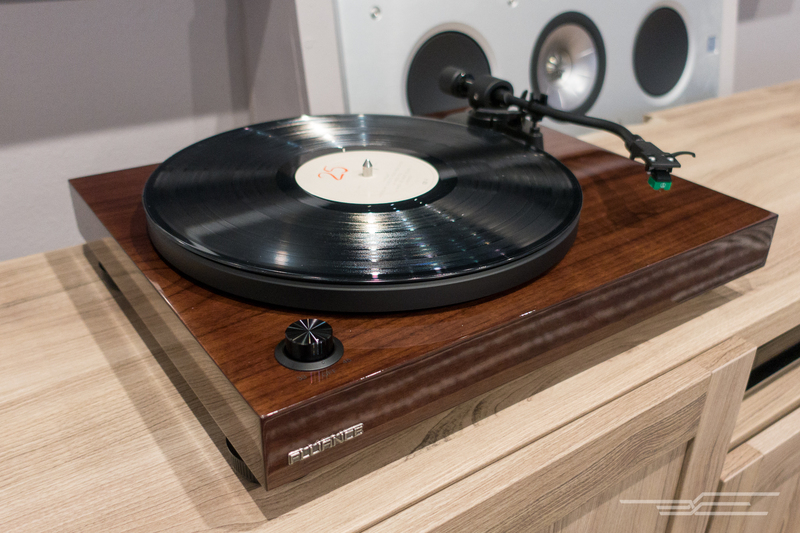 Many turntable brands have introduced new and ostensibly improved models since our last update. 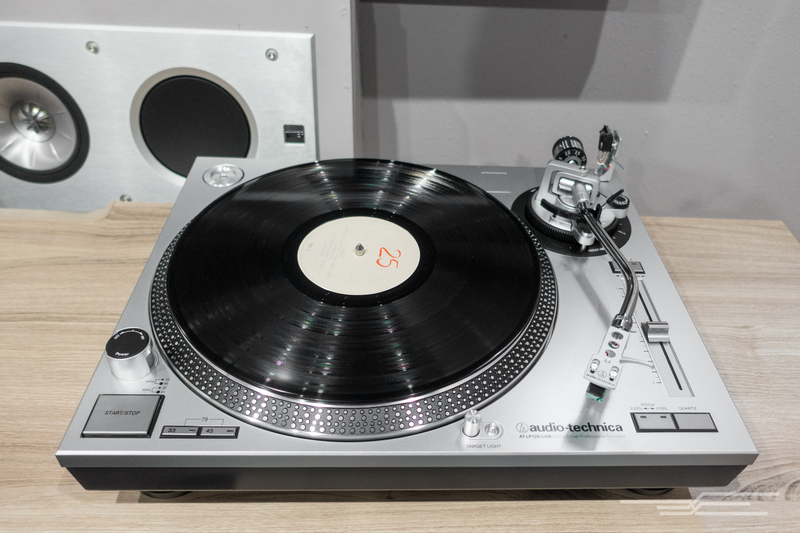 We brought in nine new or updated turntables to compare with our existing pick, the Audio-Technica LP120. We listened to all of the turntables in a dedicated home theater room that measures 11 by 13 by 8 feet. For direct comparison, we played identical copies of an album on multiple turntables using a line-level audio switcher. We also considered belt-drive and direct-drive models for this guide. To learn more about these models, see our full guide. 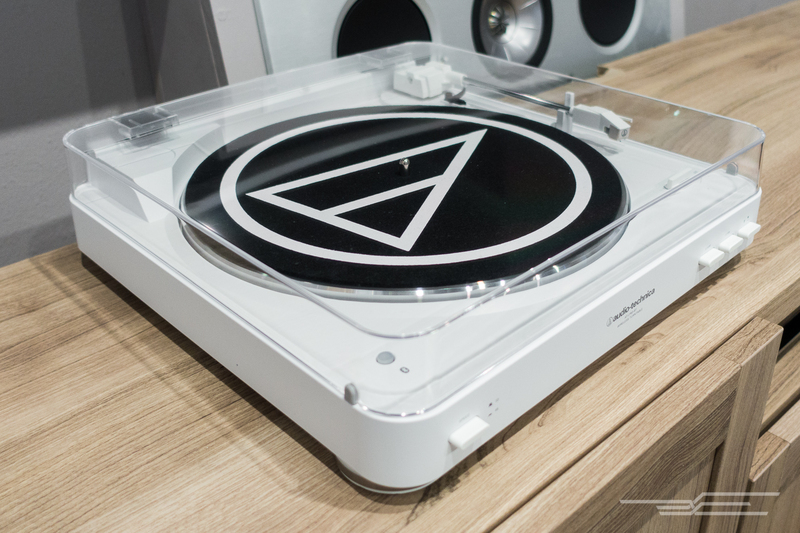 The Audio-Technica AT-LP120-USB is the best turntable for most people because it sounds great, has an internal phono preamp, is speed-accurate, and lets you easily digitize your LP collection. The AT-LP120-USB is a great entry point for the vinyl enthusiast, with sound quality that holds up in comparison with some tables costing twice as much. The sound quality of the AT-LP120-USB, with the included cartridge and integrated preamp, is remarkably good. With high-quality source material, it can present a quiet background with very good channel separation and vocal clarity. It can stumble a bit on very busy musical sections on the inner grooves of records (where the fidelity is not as good as on the outer grooves), but many tables do this. Most modern receivers lack a phono preamp, which is necessary to hook a turntable into a sound system, and even fewer people own an external one, so it’s convenient that the AT-LP120-USB has one built in. This means that straight out of the box, the Audio-Technica can plug directly into a soundbar or powered speakers that have an analog input. You can disable the preamp inside the Audio-Technica with a switch, but when we tried it, it produced a ground hum that wasn’t present with the internal preamp. The AT-LP120-USB’s inclusion of a USB output makes it easy to digitize your LP collection. Most new LPs include download cards so you can get MP3 or FLAC versions of the album, but used LPs lack this. The USB output lets you connect the AT-LP120-USB directly to your computer, so you can use a program such as Audacity to digitize your collection. The Fluance RT81 looks much like the Audio-Technica and sounds almost identical too. It has the same cartridge and a similar tonearm, but uses belt drive instead of direct drive. It lets you select between 33 RPM and 45 RPM and has an integrated phono preamp, but unlike the Audio-Technica, it will automatically stop the platter from spinning once the arm reaches the center of the record. Some people might prefer the look of the Fluance to the Audio-Technica, but it is unlikely anyone will be able to tell them apart sonically. Listening to identical records at identical points and switching back and forth, we noticed no difference in sound quality between the two.The Fluance often sells for $50 less than the Audio-Technica, but lacks a USB output for easy dubbing of your vinyl. Plus its speed isn’t quite as accurate, and we don’t have the long history with Fluance’s turntables (the company only recently began selling them) that we do with the Audio-Technica. If the Audio-Technica is sold out, or you decide you like the Fluance for aesthetic reasons, it should provide the same sound quality. The updated entry-level model from Rega, the Planar 1, offers improved audio quality over the Audio-Technica and has the easiest setup of any turntable we tested. When we listened to The Beatles’ “With a Little Help From My Friends,” the Audio-Technica put poor Ringo back in the corner and muffled his voice. The Rega put him center stage and let him shine. The Planar has a couple downsides. It runs around 0.5 percent fast, but in listening tests comparing it with other more-accurate tables we didn’t notice this speed difference. You also have to remove the platter to switch from 33 to 45 RPM. If you want something that can just play records easily for as little as possible, the Audio-Technica LP60-BT will do the job. Unlike the other tables we considered, LP60-BT is fully automatic: Press a button and the table spins while the arm moves into position. Once a record is done, the arm goes back into place and the table stops. It has a built-in phono stage and you can even get it with a Bluetooth output for use with wireless speakers. In maybe the most boring VR announcement to date, payment processing company WorldPay has decided to bring its services to virtual worlds. The UK-based company, one of the leading payment processors worldwide, used the HTC Vive for its prototype. In their system, to pay for an in-game item you use the Vive’s controllers to pick it up, revealing a bubble with its price. Staring at the virtual price tag for a few seconds allows you to make the purchase, which you do with a virtual version of your real credit or debit card. You then hold your card over a VR payment terminal. And, if you need to type in a PIN, number bubbles pop up all around you in random order so that onlookers can’t guess your code. All in all, this VR payment is almost exactly like real life payments, which doesn’t seem terribly innovative. As we’ve moved away from using credit cards in real life purchases, one would think that there would be a better option for buying things in VR. Along with gaming purchases, WorldPay says it’s also interested in working with companies like Ikea that have started experimenting with VR in their own sales. A useful application once we phase out bulky VR headsets and controllers that would make real life payments cumbersome. Market research conducted by the company suggests the demand for VR payments will vary a lot by country. While 93 percent of Chinese citizens surveyed said they could see themselves using VR payments, only 35 percent of UK participants did. And zero percent of the people writing this article envision making VR payments anytime soon. Surprise: an overwhelming majority of adults still watch TV on a TV despite cord-cutting and the prevalence of mobile broadband. 92 percent of those aged 18 and older according to a recent report from Nielsen, to be exact. “Sure, viewers have more options today, but when looking at platforms in a comparative fashion, it’s clear that consumers choose the television as the primary vehicle for [programming],” Tom Ziangas of AMC Research said in a blog post. The study found that of the gross minutes counted last year, 509,196,299,668 minutes (82.1 percent) were spent watching shows and movies via a flatscreen itself, and an additional 63,637,309,003 minutes (10.3 percent) came from TV-connected devices like game consoles. Among adults, watching videos on their computer, smartphone or tablet accounted for under eight percent of all viewing time. “What we found was that contrary to the popular narrative that smaller screens were talking away time from the TV glass, when we looked deeper we found that overall time spent viewing on the TV had the most minutes among every age or ethnic demographic we looked at,” Nielsen’s Peter Katsingris said. So, people really like watching stuff on a screen that’s too big to fit in their pocket or messenger bag despite having ready access to Netflix on the go. This potentially shows that even though cord-cutting has gone mainstream, a decent number of people either still have pay-TV subscriptions or use the smart apps built into their display versus a Roku device or a PlayStation. It’s almost as if folks took director David Lynch’s musing from a few years ago to heart without realizing it, too. 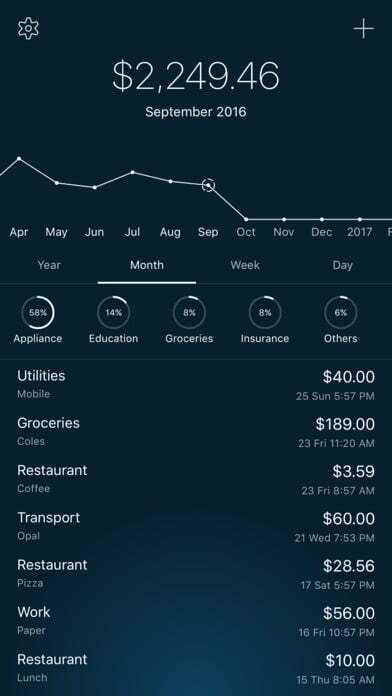 5coins is a simple, beautiful, and smart app for tracking your daily expenses. It lets you know how much you are spending, and when and where your money goes. 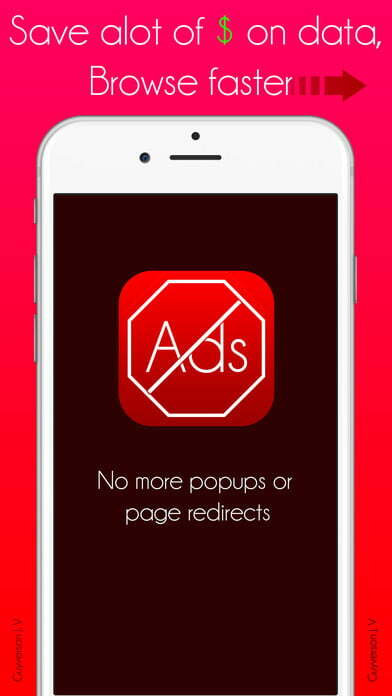 Are you sick and tired of popup ads, unwanted page redirects and many more annoying advertisements on the internet? PureBlock is the perfect solution for you. Turn your iPhone or iPad into a window with a million-dollar view. 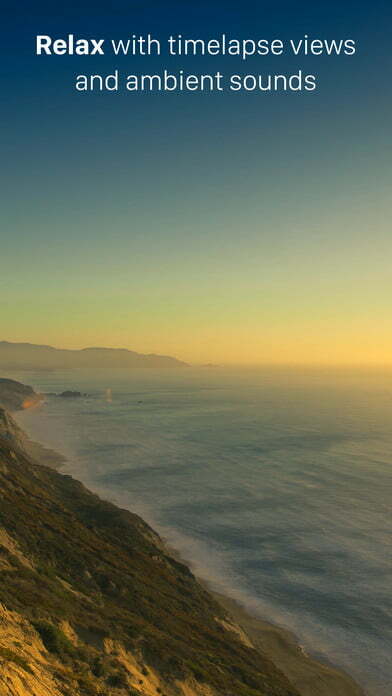 Enjoy beautiful timelapse views with relaxing ambient soundtracks. Perfect for your desk, night stand, flat panel, or Apple TV. Includes weather, alarm clock, wake to music, sleep timer, and more. 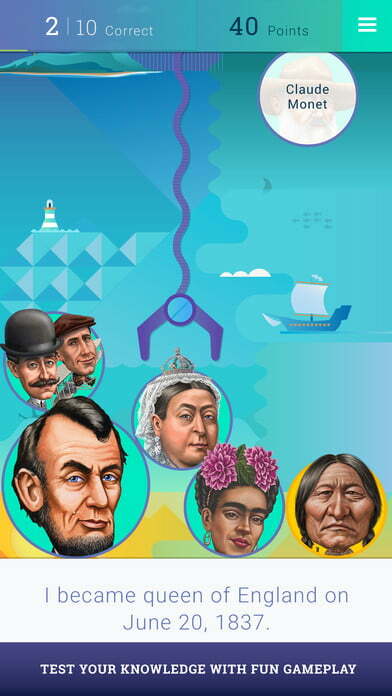 How well do you know historical figures and pop icons? 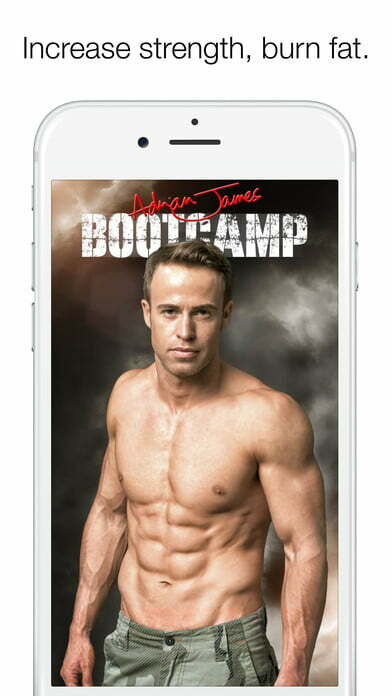 Download today and put your knowledge to the test. 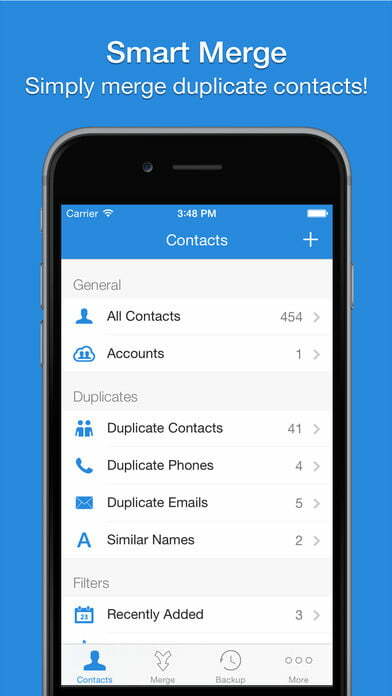 Smart Merge Pro easily helps you detect and merge duplicate contacts. Clean up, backup, and otherwise manage your address book with a single tap. Considering our smartphones are capable of so much already, you would think they’d be perfect replacements for our TV remotes. Unfortunately, the answer is a bit more complicated than you might think. Every television, receiver, set-top box, or media platform is different, and not all of them can talk to our devices as easily as we would hope. To complicate matters further, every smartphone is also different. This means that, depending on your hardware and the streaming solution you use, one app might better suit your needs than another. For example, many TV remote apps can interface with Wi-Fi-connected smart TVs from various manufacturers. But older sets lack network capabilities, which means you’ll need a phone with an IR blaster, or a Wi-Fi-to-IR converter to do the trick. None of Apple’s devices feature IR blasters, which will complicate things for iOS users. It’s also important to note that whatever TV or entertainment device you own — provided it was made within the last few years — likely has its own first-party app on Google Play or the App Store. This is true of nearly all TV manufacturers, including Samsung, LG, Sony, and Panasonic, as well as devices like the Amazon Fire TV, Apple TV, Chromecast, and various Roku set-top boxes. 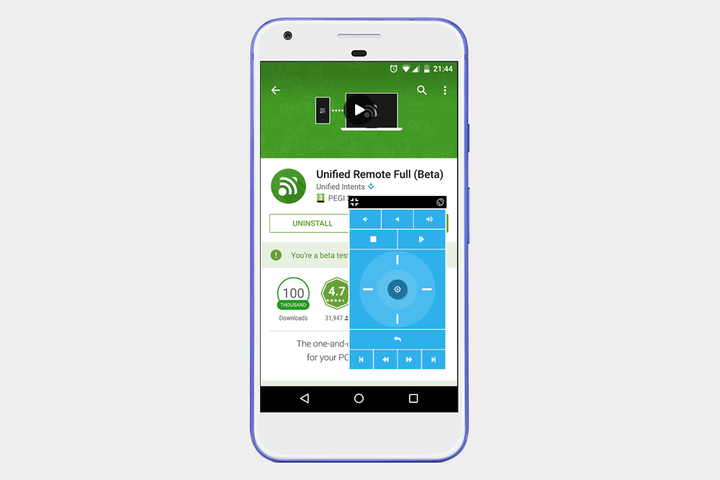 Bearing that in mind, this article will cover general TV remote apps designed to work with a wide variety of devices from different companies. Some are even able to control various aspects of your home beyond your TV, such as air conditioning, lighting, and other Internet of Things devices. That said, if none of these work with your particular setup, it might be best to go with the safe option and check out your device’s associated app. 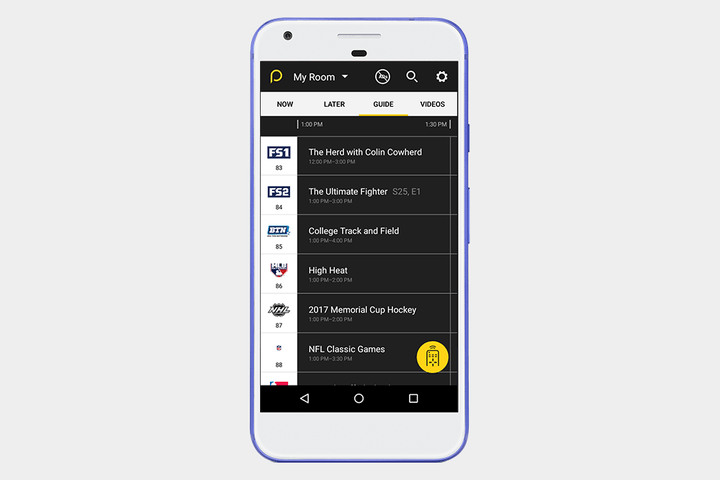 With that out of the way, here are five of our favorite TV remote apps available for Android and iOS. Peel is perhaps the most popular option in this category, and for good reason. For one, it can work both over your local network or through old-fashioned IR. If you have an Android phone with an IR blaster, you’ll have widest possible compatibility, no matter what your home entertainment situation is. Peel also sells a $50 IR extender called the Pronto, which will grant your iPhone or other devices IR capabilities if it lacks them. The app can even control your smart home devices, but make no mistake: This is a TV app first and foremost. It’s the only one on our list that features a guide based on your local provider, for instance, and it monitors your viewing behavior in an effort to curate better recommendations. AnyMote is similar to Peel, only it trades some of that app’s more TV-centric features for neat automation tricks. AnyMote can power all your smart devices and allows you to set tasks called Macros, which are basically chain commands that you can send to multiple devices at once. For example, if you’re about to settle in for a movie, you can trigger a saved Macro to turn your TV on, change a channel or launch an app, and dim your lights simultaneously. 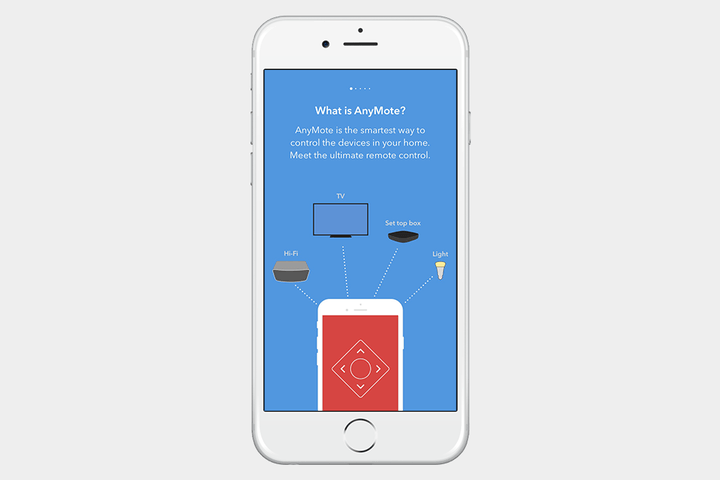 If you have an IR-enabled Android phone, AnyMote has a separate app called Smart IR Remote that can directly control most devices; otherwise, like Peel, AnyMote sells its own hub. If you’re an Amazon Echo user, you can even tell Alexa to initiate commands through AnyMote. Thanks to a recent update, Sure can control devices throughout your home — but it really focuses on your entertainment center. One of its more unique features is its ability to control media streaming hardware, and even push local files to those devices. For example, using Sure, you can send music, videos, and pictures to a Chromecast using an iPhone. The opposite also applies, meaning you can pull content saved on a DLNA server and play it back on your phone. But one of Sure’s most useful features is its backup capabilities, which prevents you from having to reconfigure everything in your home when you buy a new phone. Like previous apps, Sure also recommends a Wi-Fi-to-IR converter for compatibility with older hardware. Unified TV takes a different approach from the other apps on our list. First, it only works via IR — meaning you’ll need one of a handful of Samsung, LG, or HTC phones or a network-connected IR blaster. Second, the developer, Unified Intents, has built handcrafted remote control profiles for more than 80 TVs, set-top boxes, receivers, projectors, game consoles, and media players. All this takes the guesswork out of trying to figure out which commands are supported by your devices, and having to build custom profiles for each one. It’s a simple solution to a simple problem, without any unnecessary features that might otherwise bog down the experience. Best of all, at $1, it’s currently cheaper than the paid versions of most of the TV remote apps in our roundup. 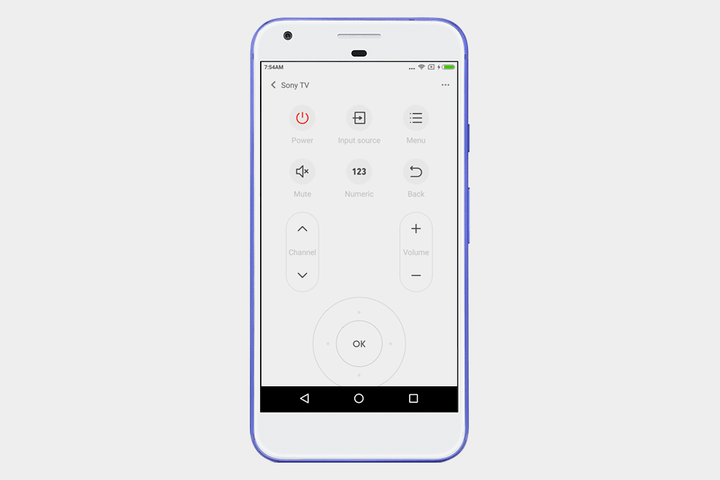 Xiaomi’s Mi Remote app separates itself from the pack with an attractive and clean interface as well as easy setup. 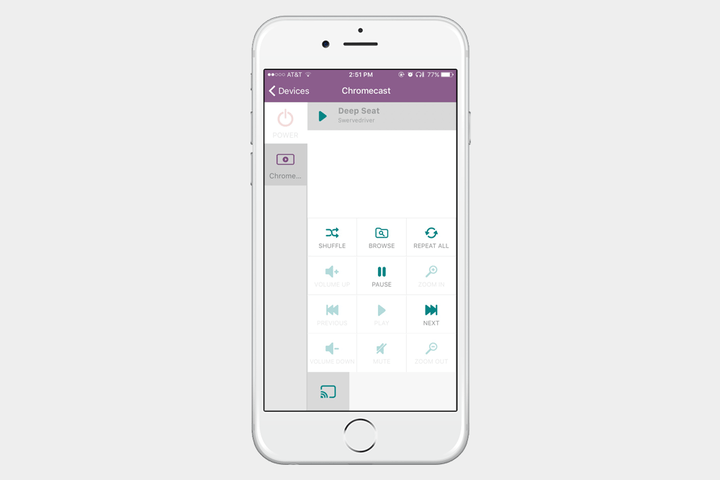 Opening the app for the first time allows you to automatically scan for supported devices and guides you through the setup process, which tells you right away whether your phone supports IR connectivity. Mi Remote is available on all Android devices, however, Xiaomi’s proprietary products will get the most out of it, as many of the manufacturer’s latest phones feature IR blasters. Additionally, if you’re using a Xiaomi device, you can link specific remotes to certain locations so they’ll automatically appear on your lock screen depending on whether you’re at home or at the office, for example.